Every March Montreal hosts a truly exciting cultural event- FIFA , the international festival of films on art. For 10 days art lovers can gorge themselves on films on an array of art-related subjects, including mime, circus arts, tattooing, and comics. At last year’s festival, the 28th edition, I saw the German documentary, Turning Torso, Malmö. 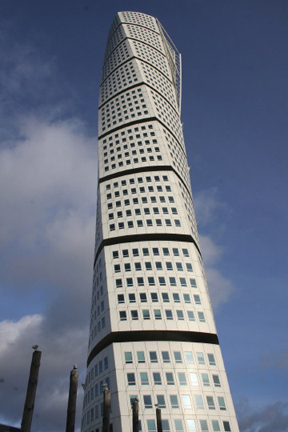 Turning Torso is a spectacular 54-story tower, in Malmö, Sweden, designed by Spanish architect, Santiago Calatrava. At 154 meters high it is the highest skyscraper in Scandinavia. 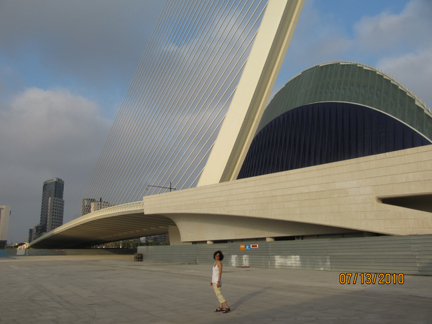 Calatrava’s impressive list of works includes bridges, train stations, communications towers and traffic control towers. 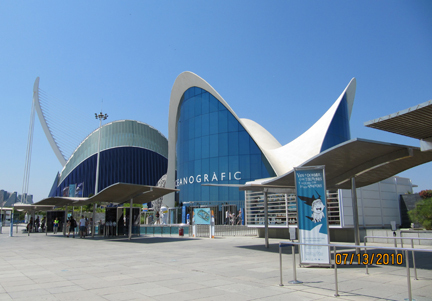 I spent a day with my family at l’oceanográfico. Part of the complex, this underwater city was designed by the late Felix Candela. 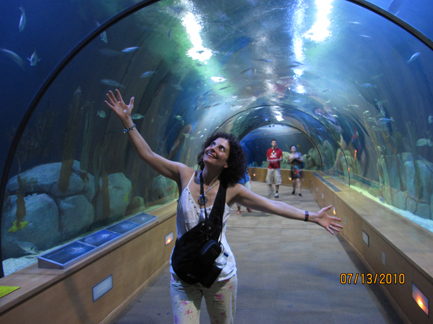 I felt like a kid, discovering fantastic sea creatures in this futuristic setting. 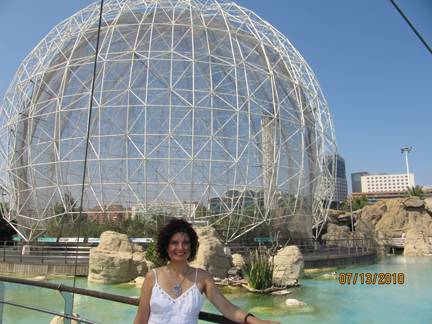 I have visited many aquariums including the ones in Miami, Key West, Vancouver, Barcelona, Monaco and the Rosario Islands in Colombia, however, the oceanográfico was a memorable and unique experience, due in large part to the architecture and installations that are home to a fabulous array of animals. 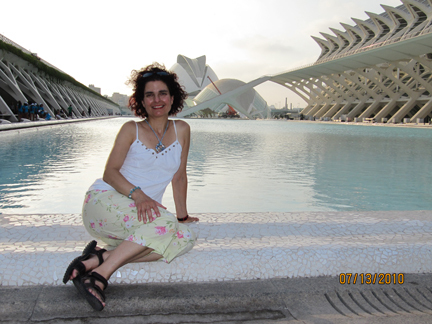 The City of Arts and Sciences is located on the old dried-up river bed of the Turia, midway between the old city of Valencia and the coastal district of Nazaret. Following a disastrous flood in 1957, the river was diverted and transformed into a 7 kilometer promenade. 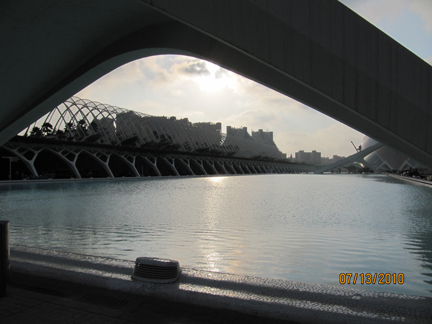 It is fitting that Calatrava has featured water thoughout the complex. His style bridges the division between structural engineering and architecture. He continues the tradition of Spanish modernist engineering that includes Felix Candela and Antoni Gaudí. Calatrava’s style is also highly personal, inspired by the human body and the natural world. When I saw the film on the Turning Torso, I had no idea that four months later I would visit an architectural complex designed by Calatrava. Whether it is hazard, destiny, a chain of related or unrelated events, or serendipity, I like it. Photos of The City of Arts and Sciences by Talleen, Yayo and Pablo. All Slots has lots and plenty of on-line slots. 42 requêtes. 0, 181 secondes.